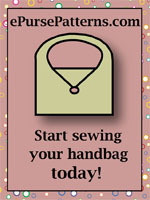 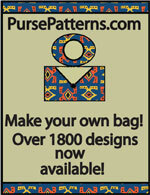 Aunties Two : Wholesale Purse Patterns, Purse Patterns at wholesale prices for quilting shops, craft stores, and fabric shops. 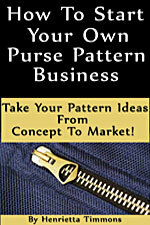 Aunties Two offers unique bag patterns that use fabric strips, clothes line, and quilting to make your own original bag designs. 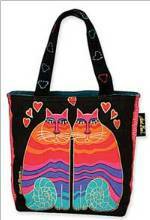 The Bow N Go Bag pattern is made with fabric covered clothes line, Bali Pops, and measures 14" W x 10" H x 8" D when completed.